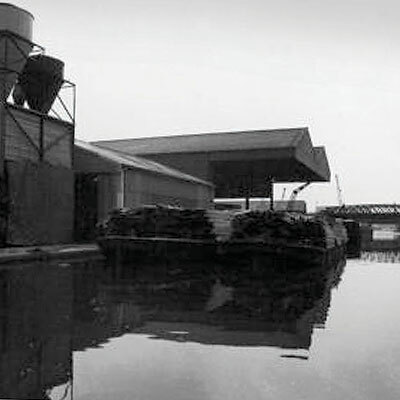 The New Bermondsey site was first developed following the arrival of the Grand Surrey Canal in 1807. This new trade route, coupled with the opening of the London and Greenwich Railway in 1836, led to the former arable land in this area being populated with canal-side wharves and industries. By the turn of the 20th century the Surrey Canal area was predominantly residential with rows of Victorian terraced houses. The canal side was occupied by tar paving and artificial stone works to the north and leather cleaning works and a timber yard to the south. The area suffered considerable bomb damage during WWII and by the early 1950s many of the voids in the residential fabric had been filled with post war detached houses. 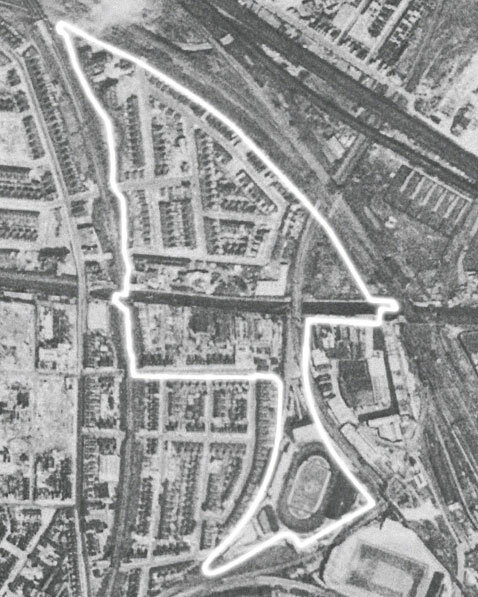 By the 1960s further pockets of Victorian terraces had been demolished and the site was cleared of all homes in the early 1970’s, giving way for playing fields and games courts known as Senegal Fields. The Canal itself was filled in in the 1970s and became Surrey Canal Road in the 1980s. In 1992 Millwall Football Club moved into the New Den, replacing the original Den which had been just east of Bridgehouse Meadows.